Waiting to see if Big O buys back my nail enhanced tires. 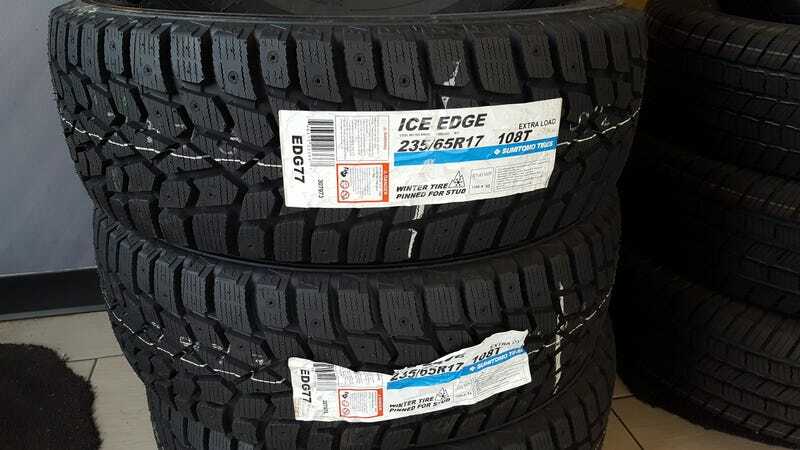 So the potential of getting a set of full on winters now exists, i see a new entry, the Sumitomo Ice Edge. Guy says they test higher than Blizzaks. Internet has no test results anywhere. Can anyone find anything to verify they are any good at all? $40 less than blizzaks here. I also get to watch a guy in the waiting area feeding his Monster drink addiction and pacing about muttering brief rages to himself.